For the first time, it’ll be accompanied by a full conference on Oct. 29 and 30. The crew from Lichtblick 4D is in charge of developing and organizing the program along with the staff from Digital Production and the Medienboard Berlin-Brandenburg, which is funding this year’s venture. I was delighted when, a while ago, the LB4D comrads asked me if I’d be interested to join and participate in the planning process. I’ve known them for almost three years now and run into them pretty frequently, however: While we’ve done some networking here and there, this is the first time I actually get to work with them. So far, it’s been a pleasure. The conference program is ironed out now and finally got announced yesterday. The presentations and master classes certainly span the whole range of DCC, including special FX, compositing, games, and architectural visualisation. We’re glad that we’ve got some heavyweights to commit to the event; for instance, Pixar’s Paul Kanyuk will talk about the crowd simulation techniques they developed for their movies. And Naughty Dog will be present at the conference to give some insight into the development of and the technology behind the biggest PS3 title of the season, Uncharted 2: Among Thieves. A few more speakers and tutors will be announced in the days to come, but as you can see: We already got all the ingredients you need for awesome sauce. Obviously, there also will be lots of other interesting attendees to get in touch with, not to mention the animago ceremony/party on Oct. 29. Again: Awesome sauce! The current program can be seen here, and English version should follow soon. Let it be known that there’s still an early bird discount if you order your tickets before Oct. 1. More information on the pricing models and the like can be found here. 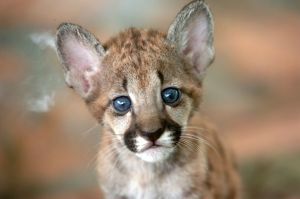 Grab your tickets now — you wouldn’t want this little puma to starve, right? Right?! This entry was posted on September 25, 2009, 1:27 pm and is filed under Weasel Report. You can follow any responses to this entry through RSS 2.0. You can leave a response, or trackback from your own site.